Are you wondering to enhance the security of your home or office and get peace of mind? If so, then you need to install high-tech biometric locks at your place. Biometric locks are considered to be the best locks as it is very complicated to spoof or hack them. We offer the finest biometric locks installation and repair services. We, at McAllen Locksmith Pros, are available round the clock, and you can contact us to get our 24-hour locksmith services in McAllen. We provide prompt and hassle-free services. We are insured, licensed, bonded and certified locksmiths who are committed to offering the world class locksmith services. Our estimates are honest, and rates are affordable. Our charges do not contain any hidden fees, and we do not charge a call out fee even. Customer satisfaction is our topmost goal. Biometric locks are modern locks, which offer more safety and security than the traditional ones. These locks are also known as fingerprint locks and are considered as the most effective locks. This type of locks provides an extra layer of security in both residential as well as commercial building. Biometric locks do not require a key to be able to operate. The best part about biometric locks is that they prevent intruders or thieves from breaking into the property. There are mélange of biometric locks in the market, which are: iris scanner, retina scanner, voice recognition, signature recognition, facial feature recognition and fingerprint recognition. You do not have to carry the keys anymore as these locks do not require any additional devices for opening the door. These locks are very easy to use. You can easily program the lock for multiple users. The best part is, when you close the door, it will get locked automatically. That means these locks will need biometric data that you have to provide again in order to unlock the lock. These locks enhance your sense of security as well as safety. You will get peace of mind. Biometric locks come with backup battery power. These locks have a low maintenance cost. Safety of your family members is the main point of concern. Therefore, you need to improve the safety of your dear ones along with your investments. For that, you can get the help of professionals in order to get biometric locks installed at the door of your home. You can count on us, as we offer the best in class biometric locks services. Apart from this, we also offer a myriad of other residential locksmith services such as home lockouts, peepholes, broken key removal, home rekeys and much more. 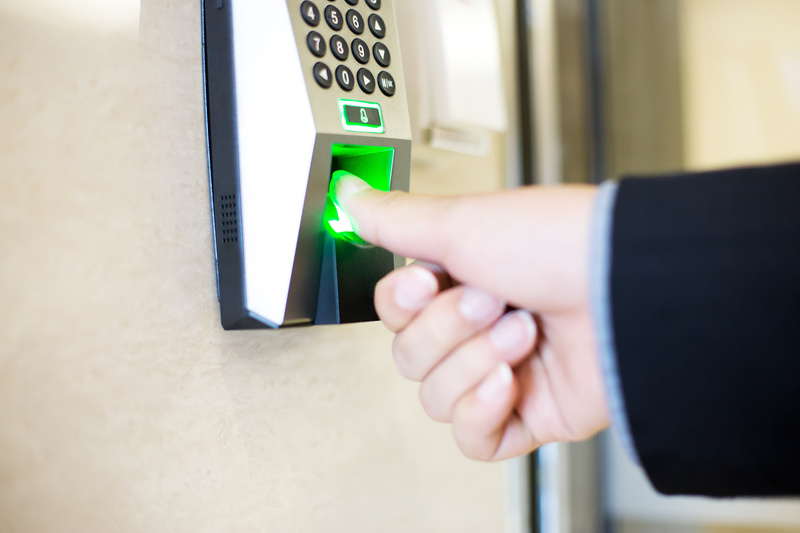 Are you looking for a top locksmith in McAllen for the installation of the biometric security system at your commercial place? If yes, then you can rely on us. We, at McAllen Locksmith Pros, offer the best commercial locksmith services. Our expert technicians are competent in installing as well as repairing biometric locks efficiently at commercial buildings. You just have to contact us, and we will dispatch our skilled technicians in order to give you quick as well as hassle-free services. We also offer emergency locksmith services, and you just have to call us in order to get prompt services. You can ring us no matter what the time is. We assure you that our highly skilled technicians will reach your location in few minutes. Just contact us today. Get Hassle-free Biometric Locks Installation and Repair Services https://locksmithmcallen.com/lock-services/biometric-lock/ 4.0/5 based upon 8 reviews.